JUST a few years ago, Melbourne mates Shaun Wilson and Blair James noticed a gap in the beauty market - and pounced. Now, their Aussie-made tanning sensation, Bondi Sands, is sold in thousands of stores around the globe and is the top self-tanning brand in Australia, UK and New Zealand. The pair have also just inked an incredible deal with a US pharmacy heavyweight that's expected to rake in tens of millions of dollars. "Blair and I always had a passion for health and beauty. Back in 2010, Blair owned a beauty salon and was doing a fair bit of spray tans, and we spoke about why there wasn't an Aussie tanning brand, given that beach culture reputation is what we're known for," Mr Wilson said. "There was a gap in the market between professional spray tans and DIY products. At the time there was a good brand - St Tropez - but it was quite expensive." 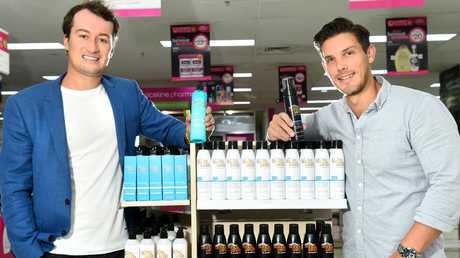 Mr Wilson said the pair wanted to develop a salon-quality product sold at a more affordable price - and 18 months later, Bondi Sands was born. Building a completely new brand from scratch was new ground for the duo, but Mr Wilson said it often worked to their advantage. For example, they pitched their product to Priceline, the country's leading health and beauty retailer, without realising just how "risky" that move could be. But their chutzpah paid off, and Priceline agreed to stock the brand's three products in 2012. From there, they turned to social media to spread the word and today the range has expanded into dozens of different products sold around the world. Shaun Wilson and Blair James are set to launch their products in the US from January. Bondi Sands went on to launch in the UK market in 2015, and now they've just scored an unprecedented coup that will see the brand reach millions of Americans within days. From January 1, Bondi Sands products will be sold in Walgreens, the second-largest pharmacy store chain in the US. It's one of the largest ever launches for an Australian beauty brand in the US, and it's expected to bring in a whopping $50 million in wholesale revenue for the brand over the next three years across 7000 stores. Bondi Sands is tipped to turn over up to $80 million in the 2018-19 financial year and the brand aims to be stocked in 20,000 stores across the globe by this time next year. Mr Wilson said overseas shoppers had lapped up the product thanks to its high quality, affordable price and ties with the Australian way of life. "The Australian lifestyle is aspirational - the UK and US see us as bronzed Aussies with beautiful beaches," Mr Wilson said. "The brand represents that and people buy into it. We really want to sell that (lifestyle) to customers, For them, it's like being part of Australia." 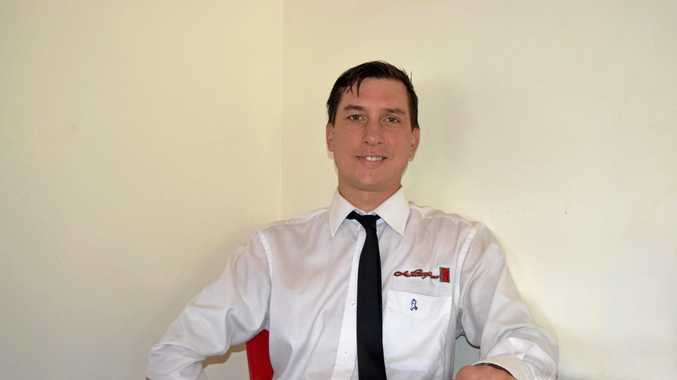 He said the company's phenomenal growth since launching as a two-man start-up in 2012 was still humbling. "Five years ago it was only Blair and I working and we were doing everything from customer service to market strategies and answering emails to social media," Mr Wilson said. "We still manufacture in Australia which is really important to us and we're now one of the largest exporters of suncare and beauty products overseas, which is an amazing feat. "We're very proud and humbled." The brand is expanding into new product lines in the new year, including five world-first products over the next 12 months.